I am sitting here drinking a cup of coffee and holding a letter in my hand. 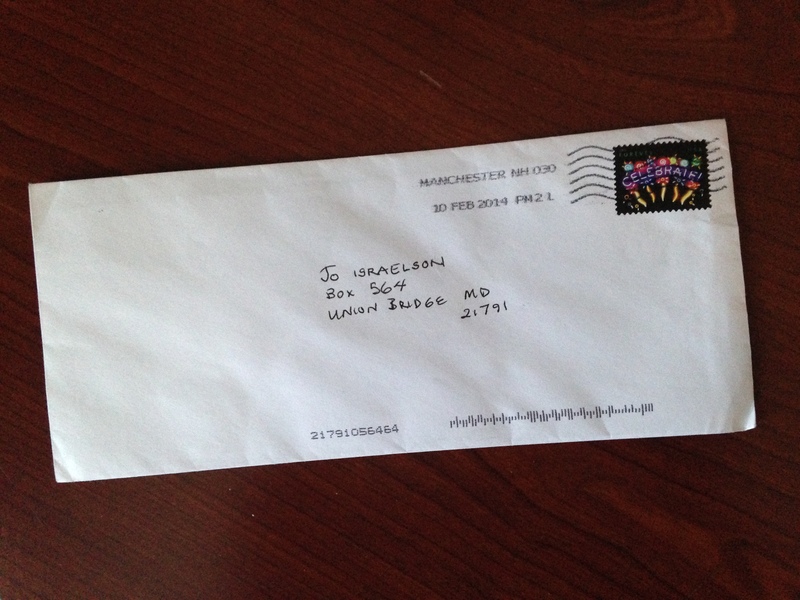 It arrived on Valentine’s Day – addressed to me – in my own handwriting. I still haven’t opened it. I am hesitant to open the letter. I am afraid of disappointing myself and disappointing others. I am still exhausted from working on the Liber sculpture. I am still recovering from moving my mom to assisted living and dismantling her home. And this winter seems endless…I can’t seem to move forward…I am ambivalent about continuing on the stone path …I seem unable to take the first step. So, I pick up a book…. Garrison Keeler, in a Prairie Home Companion monologue, lamented the end of the ground baloney and miracle whip on white bread sandwich at funerals. As members of the “ground baloney” generation pass on, we lose, not only our connection to these foods, but knowledge of their preparation. We lose the sense of community that comes from interacting with each other as we share a communal experience. We lose another cultural memory. We’ve all used books to prop up a table leg. Or placed phonebooks on chairs for young guests to sit on at Thanksgiving dinner. I think sharing books is another path to building a sense of community. 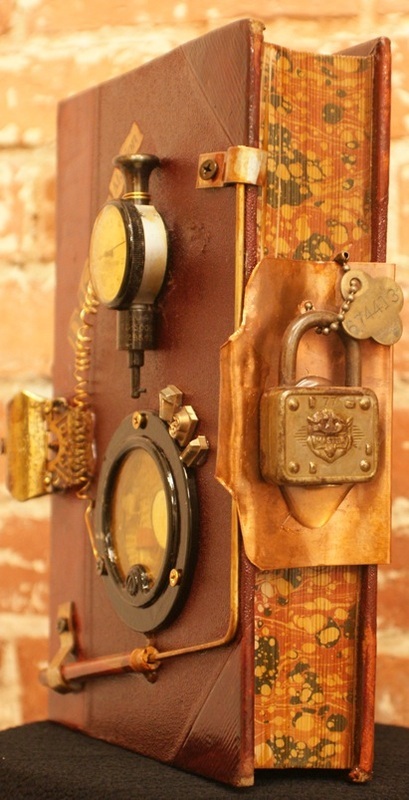 There is even a movement to leave books in public places and then track their itineraries. Wikipedia describes BookCrossing (also: BC, BCing or BXing) as “the practice of leaving a book in a public place to be picked up and read by others, who then do likewise.” The term is derived from http://www.bookcrossing.com, a free on-line book club. The ‘crossing’ or exchanging of books may take any of a number of forms, including ‘wild releasing’ books in public, direct swaps with other members of the websites, or “book rings” in which books travel in a set order to participants who want to read a certain book. The library saved my life. As a child, I spent every afternoon and many weekends in the library running my hands along the spines of books – waiting to find that day’s adventure. There was a sense of “preciousness” in their handling. There was no folding down of pages, or eating while reading or underlining a passage. I found knowledge, escape, solace, and possibility in the pages of books – as I still do. Books can transport us to another time and place or introduce us to a different way of seeing or thinking. The imminent demise of the book has been a topic of discussion since the arrival of electronic readers. Within my book club, how we read is changing: some of us hold an actual book, another reads on a Kindle, while another listens to a CD. We are still able to share our opinions, ideas and questions. However, the containers from which they arise are as different as we are. Last summer, Amazon sold more e-books than hard cover. Even the Library of Congress (LOC) has problems deciding which books to retain or discard and in what format. Nicholas Baker (Double Fold: Libraries and the Assault on Paper) describes schemes used to determine whether a book was still fit to retain. Various ill-fated ideas befell the disposal of tomes leading up to Baker’s dumpster diving at the LOC. Using his retirement fund, he built warehouses for books and early American newspapers and magazines once destined for destruction. At the annual Peaks Island Library Book Sale sponsored by the Friends of the Library, it was rumored that more books were donated to the sale than were purchased. The unsold books seemed destined for the landfill. However, the Friends of the Peaks Island Library sought a creative way to use the unsold books. They sponsored an Altered Book workshop. 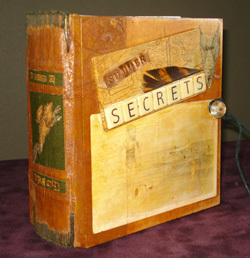 Artists have long created Artist Books. Some use books as the starting point of their work. Others start from scratch and construct a book-like work. The finished pieces are more like sculptures than traditional books. There are whole conferences and collections dedicated to the exhibition and collection of these one-of-a kind or limited edition books. http://www.centerforbookarts.org/. There were tables of altered books from the Portland Public Library book art collection. We could look and touch without white gloves (a rare opportunity.) Then Book Artist, Anastasia Weigle, http:www.anastasiaweigle.com gave an overview of the process she uses to create Artist Books. Attendees then chose a book from the pile of discards on the porch of the library. (Flashback to Filene’s basement.) I grab a book – not for the cover – but for the title: The Family Orchard by Nomi Eve. I quickly thumb through the pages. Throughout the book were images of family trees. At the end of each chapter, the names of members accrued through marriage and birth were added. Born in New England, I always wished to be one of those people whose family tree goes back for generations…that you know where everyone came from and where they ended up. My family immigrated from Europe under duress – and left the family history behind. Since I had no intention of reading the book per se, I began to tear out the narrative pages. I left intact the genealogy charts and pages with images of branches, fruits, trees. The floor around me was littered with the discards – like fallen foliage. A few hundred ‘leaves’ later, I arrived at the final page of the book – a completed family tree. 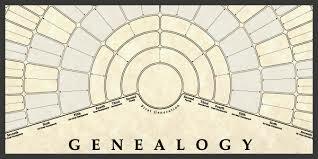 The genealogy chart had started in 1820 with just two names and now filled two pages. Mothers became grandmothers and great grandmothers…and so on and so forth. In 1935, Leah Levinsky married David Lily and bore 2 children: Jacob and Betty. My grandmother’s maiden name was Levinsky. Her birth name was Betty. She was an immigrant who anglicized her name to Elizabeth and never spoke Yiddish. Her brother’s name was Jacob (aka Uncle Jack.) His business began with a wagon and horse and evolved into Levinsky’s Army Navy Surplus Store, Portland, Maine. I frantically collect up all the loose and crumpled pages from the floor and cobble the book back together. First, I read the book. Then, I called Nomi Eve’s agent. I explained how I came upon the book. About the Levinsky name. About my artwork. By the end of the conversation, the agent’s assistant (somewhat assured I was not a stalker nor that I was looking for an book agent) agreed to forward an email with my story. Within a day, I was corresponding with Nomi Eve. If this were a fairy tale, Nomi would have been a long lost relative and I would have stumbled across another branch of my family tree. Maybe I would even have figured out my next step along the stone path. There had been a soda shop in Philadelphia where she grew up called: Levinsky’s. She substituted the Levinsky name for the real names of family members to protect their privacy. There was no connection between us. It was just a story. For Today, maybe it’s okay to just drink another cup of coffee. 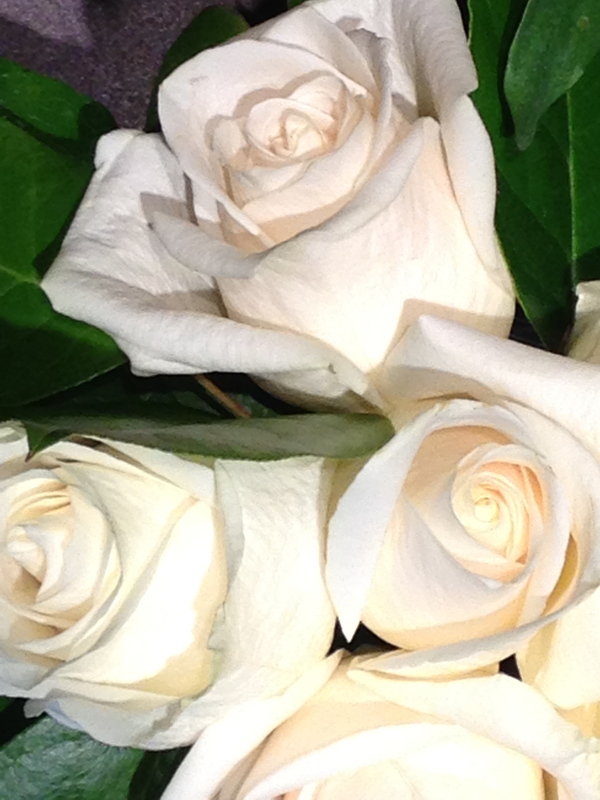 For Today, maybe it’s okay to just smell the roses. For Today, maybe it’s okay to be unsure of my next step on the stone path. There’s one day that I recall, though it was years ago. I’ll never forget the day I read a book. It’s a shame I don’t recall the name of the book. It wasn’t a history. I know because it had no plot. It wasn’t a mystery, because nobody there got shot. But one o’ these days, I’m gonna do it again.